Please note that as dormitory accommodation is included in the tour price, passengers travelling with children will need to upgrade to a motel room. Please contact us to check the availability of a private room upgrade for your dates of travel. Please see the Upgrade Options tab for more details. The Great Ocean Road and Grampians Tour is full of Australian Wildlife and incredible untouched scenery, rich with spectacular photo opportunities and the chance to immerse yourself in the natural surrounds. The first stop on this Great Ocean Road and Grampians Tour is the world famous Surf Coast. Take some pictures at the historic Great Ocean Road Memorial Arch and go for a stroll along the beautiful beaches at Lorne and Anglesea. 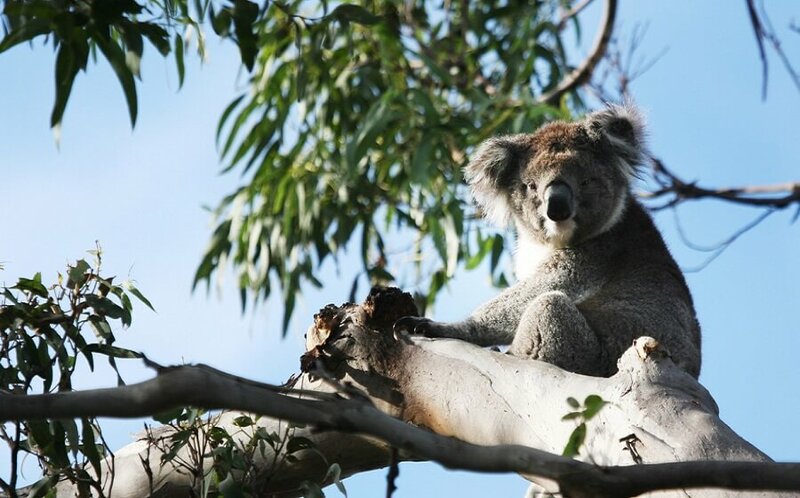 See how many koalas you can spot with a walk along the coast, home to beautiful birds such as king parrots, crimson rosellas and the kookaburra. Take a guided bushwalk through the very rare, ancient and cool temperate Otway Rainforest at Mait’s Rest. 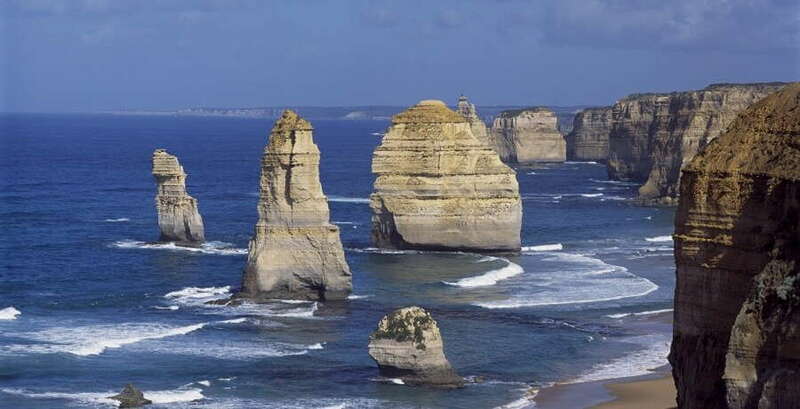 Experience the mighty 12 Apostles, a collection of breathtaking limestone stacks just off the shore. Hear the story of Victoria’s most tragic ship wreck at Loch Ard Gorge; along the Shipwreck Coast and visit the Razorback and the London Bridge. 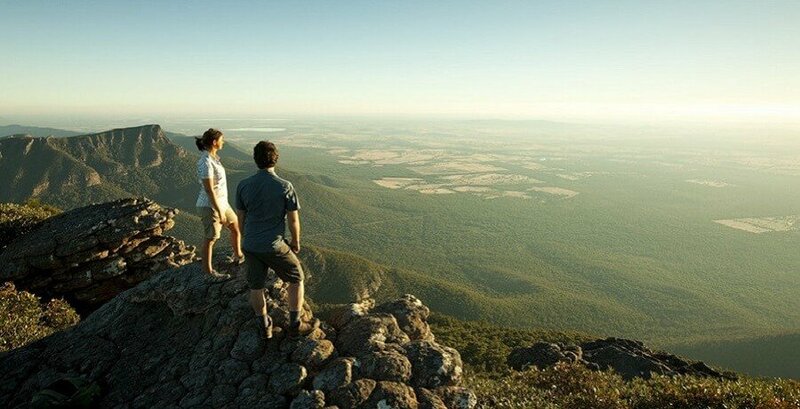 Spend the night in the heart of the Grampians – Halls Gap. Here you will have the chance to do some night-time Kangaroo spotting. The second day of this tour is spent in The Grampians National Park. 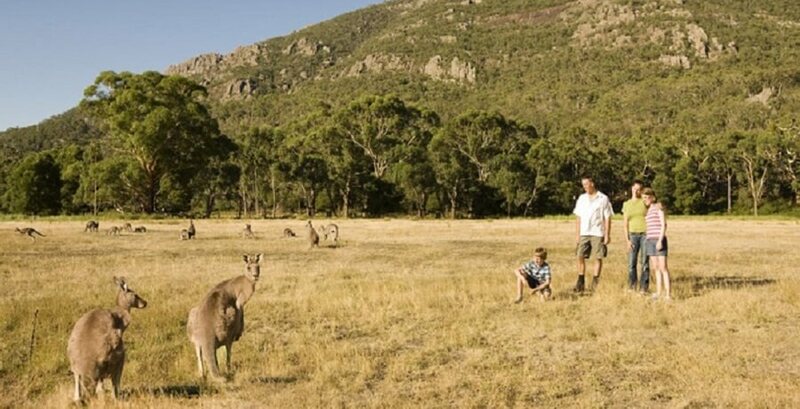 This Grampians Tour is a paradise of kangaroos, wallabies, koalas, emus and echidnas and if you get up early and have a look around your hostel you will find them everywhere. After breakfast, we head out for a hike in the beautiful environment of the Grampians National Park. Here you can explore the breathtaking beauty of massive sandstone outcrops and eucalypt covered slopes of the Northern Grampians. Visit the quaint township of Halls Gap for a quick stop for lunch (at own expense) and enjoy the abundance of the surrounding Australian Wildlife. Take a pleasant walk to the beautiful MacKenzie or Silverband Falls. 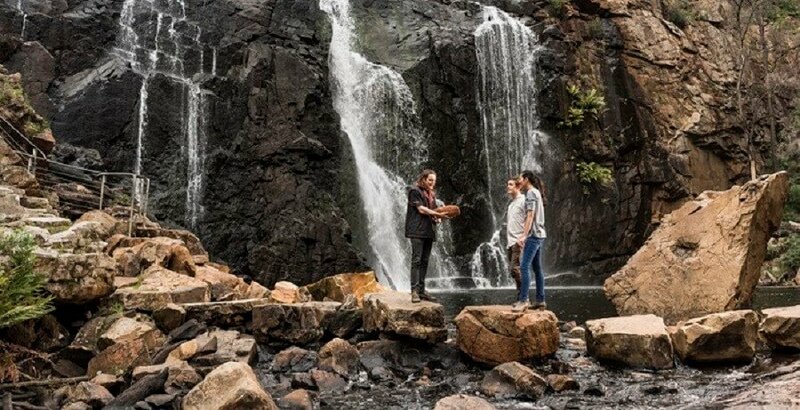 Just a short drive from Halls Gap is an ever popular picnic and walking spot at Lake Bellfield. Take a stroll along the lake’s shore and enjoy the fresh mountain air at either Reed’s Lookout or Lake Bellfield. 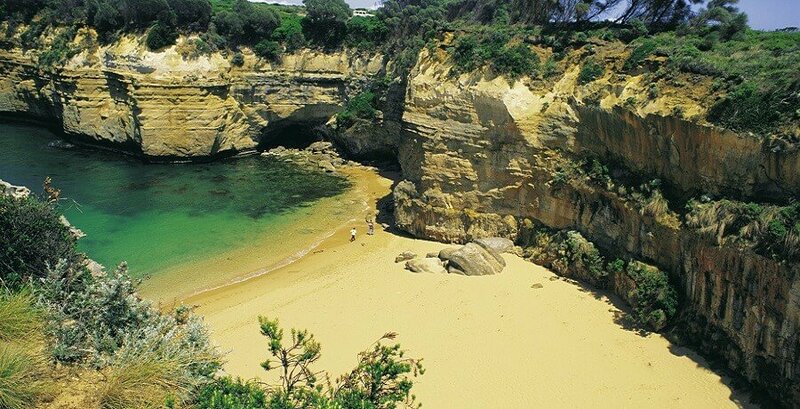 This 2 Day Great Ocean Road and Grampians Tour is one that will leave you in awe of our natural coastal and mountain regions and will long be remembered. 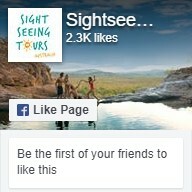 Book your Great Ocean Road & Grampians Tour today! 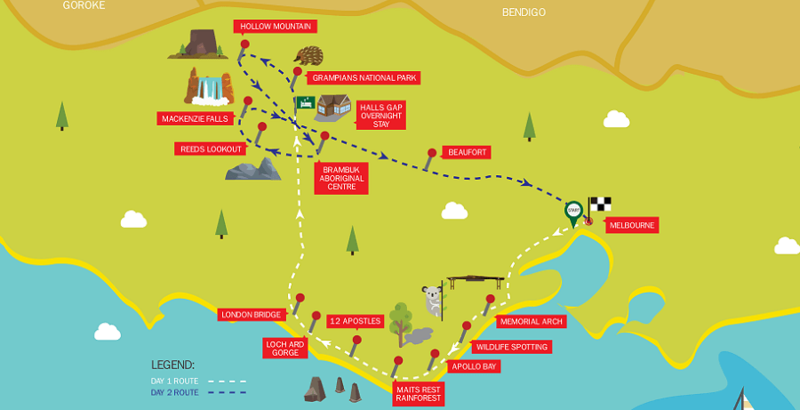 Why not check out our other Great Ocean Road Tours?